This enthusiastic seller was definitely dialed-in to customer service. She wanted to make sure I loved it, and I did. 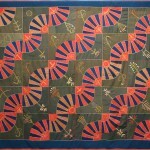 As it turned out, it was the first of many quilts I would buy from Julie Silber of The Quilt Complex in California. Today I’m happy to call Julie a friend, but back then I had no idea who she was. 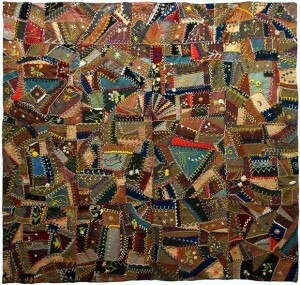 All I knew was there had been a deluge of silk Crazy quilts on the market, most with condition issues. 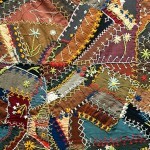 However, wool Crazy quilts seemed scarce, especially examples that were so heavily embellished with yarn. 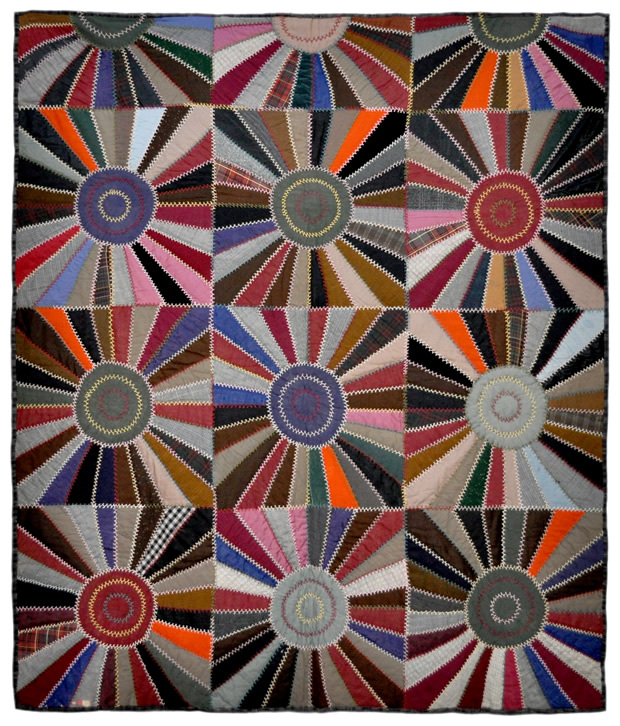 About a year later, I spotted another wool quilt on Shelly Zegart’s web site – an Airplane block, and in the description Shelly posed a tantalizing question. “Were these quilts made for utility or are they expressions of artistic freedom?” The unique quilt had 25 blue airplanes resting within alternating blocks of dark army green, khaki and light wheat brown. 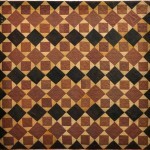 It was hand quilted with thick red thread, which stood out against the deeper earth tones. Dated 1937, it was made in Western Pennsylvania. 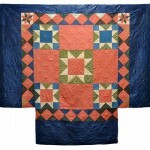 Some of the earliest quilts made in America were wool. 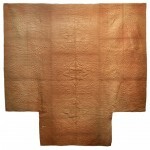 Before fabric manufacturing started to become a big industry, settlers had to rely on available materials. Some used imported fabrics, although they were expensive, heavily taxed, and not always available. Other people made their own fabrics. 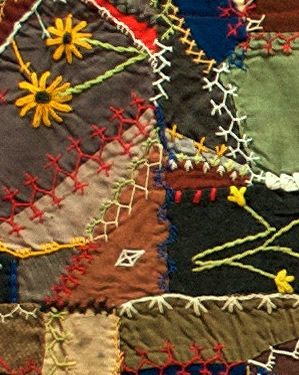 The textiles made in New England were primarily wool and linen, and some of the early wholecloth quilts included both fibers. 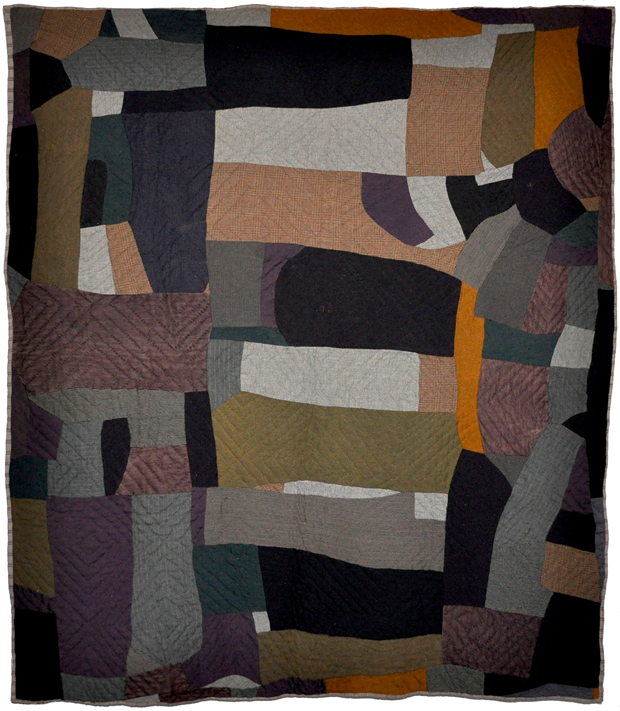 The combination of fibers, each with its own specific qualities, allowed quiltmakers to make warm, durable quilts. 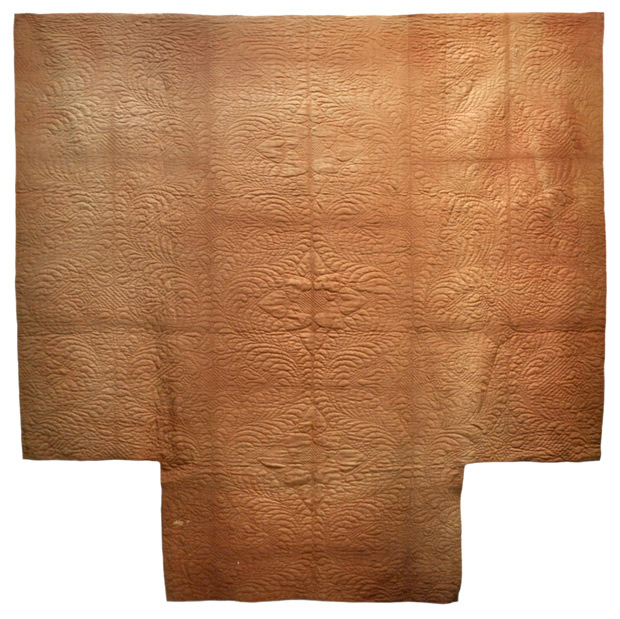 The primary decorative element seen in wholecloth quilts made of solid wool fabric was the quilting design. 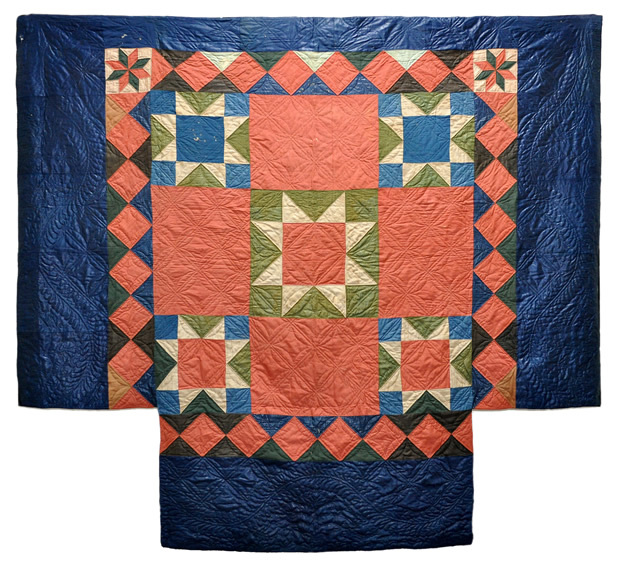 Quilts were sometimes made of a shiny wool fabric that was manufactured using heat and pressure to create the sheen. It’s the same concept as ironing a wool garment and developing a shine on the seams, but it was done intentionally for early wool fabrics. The shiny wool was perfect for the wholecloth quilts because the luminous quality of the fabric allowed the quilting design to jump out. 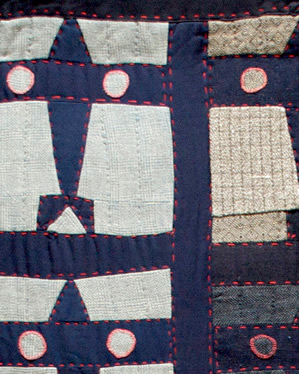 After the early part of the 19th century, fewer wool quilts were made, but they came back in the late 19th century, around the time of the Victorian Crazy quilts. 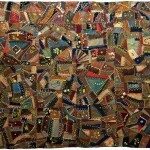 When I bought the wool Crazy quilt from Julie Silber, I’d come in on the second act, so to speak. 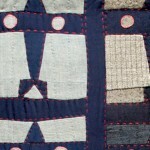 Over the years, I’ve found a number of wool quilts. 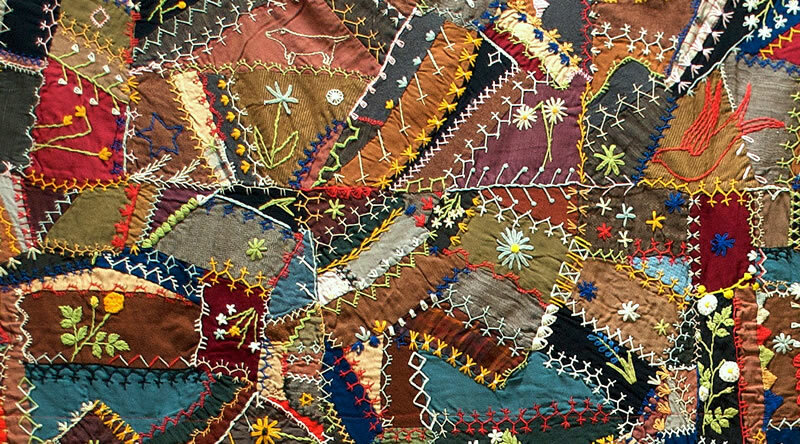 It’s grown into a small but significant collection, maybe a couple dozen quilts, ranging in date from the 1790s to the 1940s. 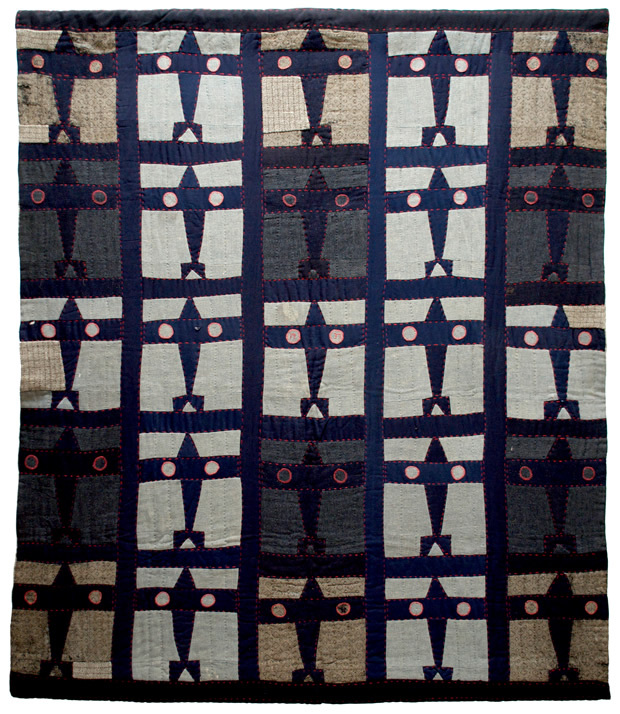 The earliest wool quilts in my collection date from 1790 to 1810. 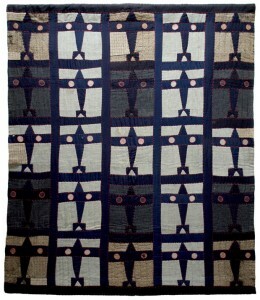 One is a T-shaped wool wholecloth quilt, c. 1790. 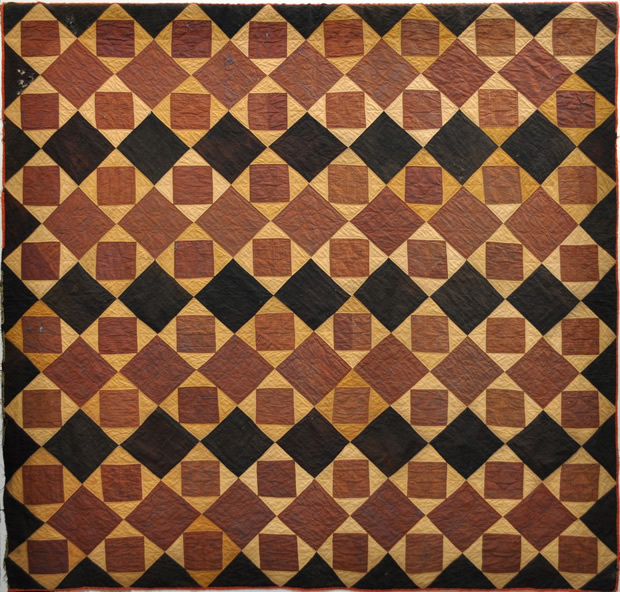 Another is a pieced quilt with glazed wools and stars, c. 1800, from Rhode Island, and a third is an Economy block, c. 1810 from New England, possibly Maine. 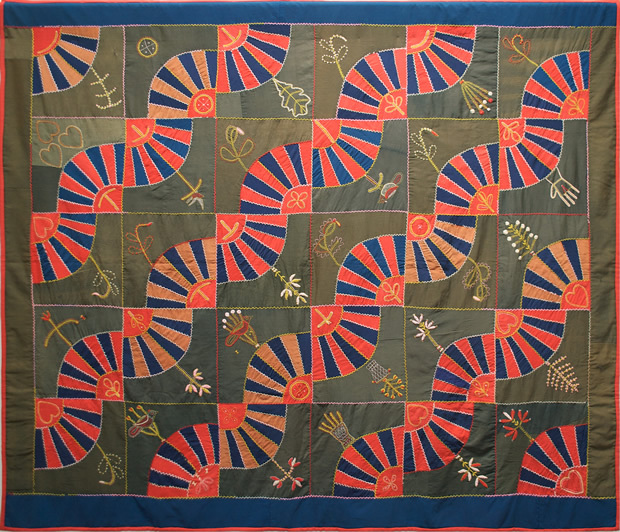 I’ve also found several late 19th century and early 20th century quilts, including a wool bricks quilt with fine embroidery, an amazing snake trails fan, a bold “Thrifty Wife” scrap quilt, and a sophisticated improvisational quilt made of clothing. I’ve never exhibited these quilts as a group, or even thought of them as a collection, but since it’s November and the seasons are changing, I thought it would be fun to share some of them. 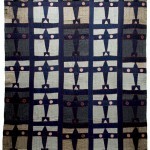 I hope you’ll enjoy these wonderful wool quilts. 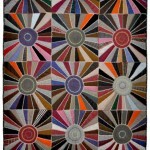 I really enjoy wool quilts. Maybe some day this small collection will become an exhibit. 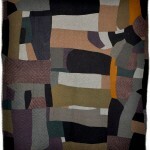 Of course, I would have to add some recently made wool quilts. It seems like there are more people working with wool lately. Sue Spargo is doing some pretty amazing things with wool. 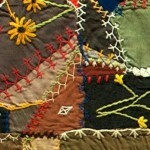 I met her recently in Sisters and was blown away by her quilts.